Last Thursday, Me and several food blogger was invited by Starbucks Indonesia to taste their new product which is Starbucks VIA® Ready Brew. I also asking Cindy Karmoko ( the famous Fashion Blogger. lol ) to be my plus one that day. Yes people, Starbucks VIA® Ready Brew it's finally hits Indonesia since this product already launched in US and Canada since 2009. Taking place in Starbucks Cideng ( recently open from about 3 weeks ago, the interior was nice ! 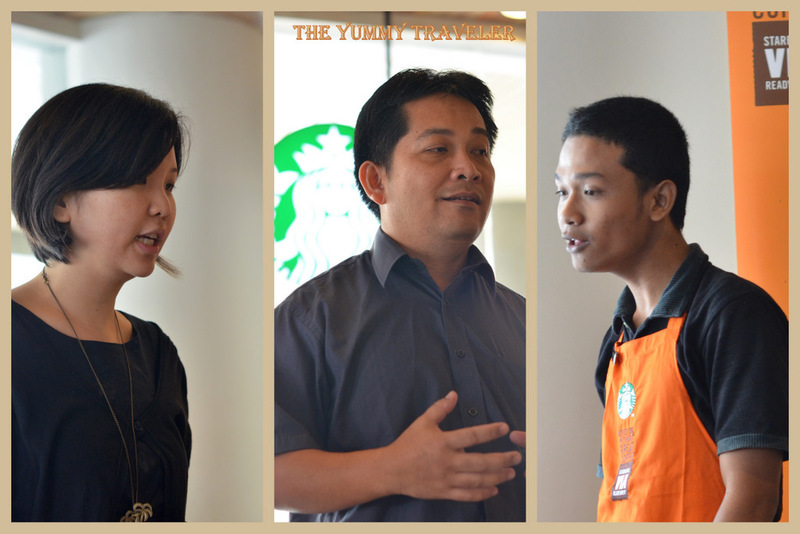 :p ), this event started with a little brief from Ms. Corry Tjong, from Starbucks Indonesia about this new Starbucks VIA® Ready Brew product. According to the name "VIA" which is an Italian word means "Road", this product takes the idea that you can enjoy fresh brewed coffee anytime and wherever you go. 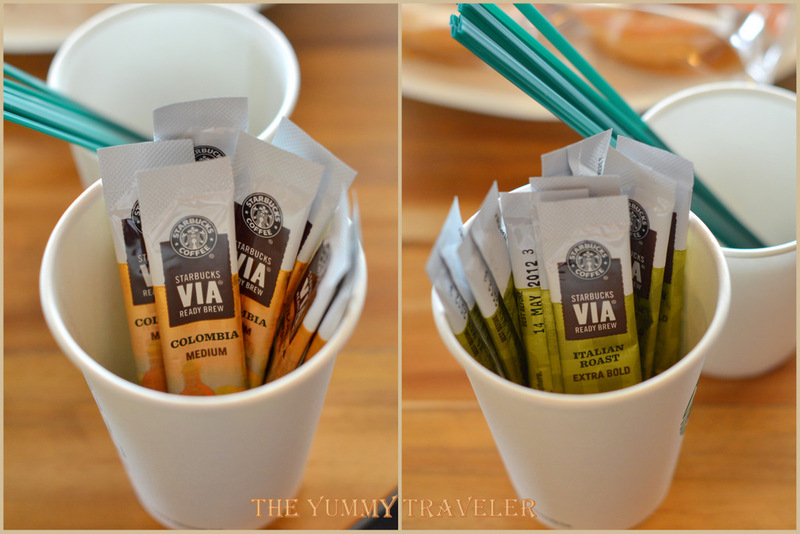 For an introductions in Indonesia, Starbucks VIA® Ready Brew comes in 2 types which is Colombia ( Medium ) and Italian Roast ( Extra Bold). 100% natural roasted Arabica Coffee, chemical free, and yes, comes in a pocket size, doesn't mean they're reducing the quality. Now it comes the time for us to tasting the coffee. It is say that they're using "micro - ground" technique that makes the difference from any usual instant coffee. The textures is more powdery though, not like granules and rough. Would be perfect if you are using 20degress boiled water, not recommended to use a plain or cold water. First, I'm trying the Italian Roast type. And yes, it taste strong and bold. It's just perfect to drink at the morning to kick your day. Then the Colombia type, this one is more less strong but has a smooth nutty flavor. I think the level of acidity is more higher than the Italian Roast. Both of it has an unique roasted smell, but I think I love the Italian Roast more. This product would be officially sold at all Starbucks outlets from 13th September 2011 ( only at Starbucks, not in supermarkets ). The price are IDR 25.000 ( 3 servings ), and IDR 88.000 ( 12 servings). First is Hollander Cake, IDR 20.000, a round almond butter tart with raspberry jam filling. 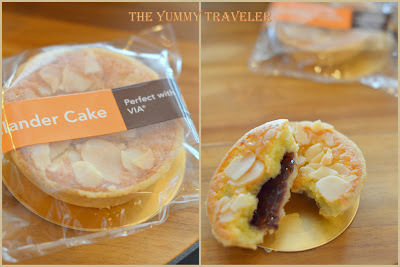 The almond on the tops gives a nice texture, and the raspberry jam taste nice. Bond, IDR 19.500, petite cookies with a strong cinnamon taste with chocolate and raspberry filling. Taste quite unique because the mixed between cinnamon and raspberry. Toffee Cake, IDR 14.500, a mixed of vanilla & caramel cake with streusel topping ( like crumbs ). The cake is sooooo moist and soft, it's simply delicious! I personally love Hollander Cake and Toffee cake as my fave.